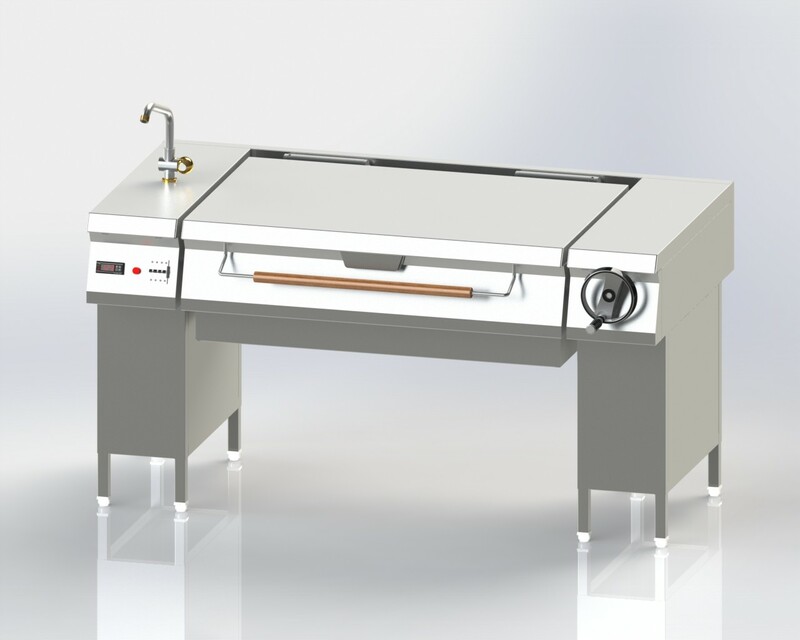 Cooking Surface with Duomat bottom allows performing wet and dry cooking alternatively. Heat Insulated: limited heat radiation and low energy consumption. Bottom of Cooking Vessel provided with Electrical Heating system. Digital Temperature controller and ON / OFF Switch Provided at Front Panel. Manually Tilting Mechanism to Pan can be Tilt up 85° to 90˚ to facilitate Pan emptying. Smooth and large surface with rounded corners for easy cleaning. Spring Loaded Lid assembly for easy and less effort opening and closing movement. Lid is double lined insulated in stainless steel. Unit Having Nylon bullet feet to accommodate uneven flooring. Heavy duty under frame construction made from AISI 304 Angle Framework. Top and Front Side are made from AISI 304 16-gauge. And Sides Covering is made from AISI 304 1mm Thk. body with thermally insulated for better efficiency and save energy. All Pan Internal Surface Round and polished for Better hygiene.